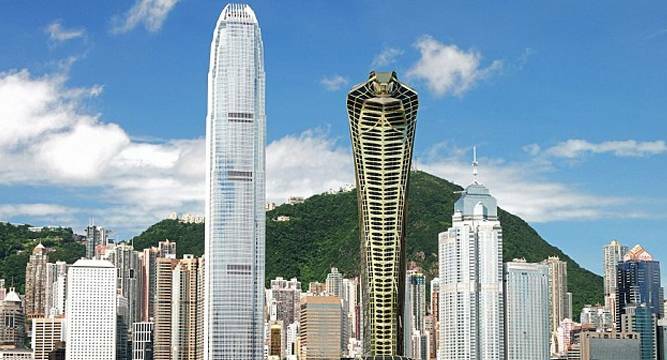 A Russian architect has designed a skyscraper shaped like a cobra and this skyscraper is intended to have 'nightclub or restaurant' in its head. 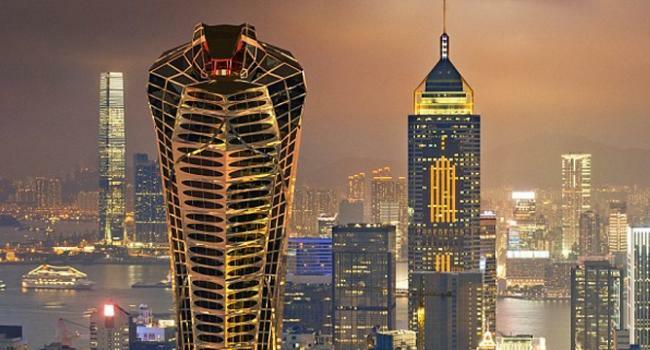 The skyscraper has also been aptly named ‘Asian Cobra Tower’ designed by Monaco-based architect Vasily Klyukin, from Moscow. Klyukin also believes that his design would most likely entice developers in cities in Middle East and Asia as here snakes are seen as sign of wisdom. The black and golden serpent also has changeable lights that run right up the structure and a diamond pattern can also be seen on the back to reflect Ying and Yang. The cobra design skyscraper is also designed to change color as day goes into night. Mr Klyukin said: 'These buildings rise up proudly in columns looking over cities or stand alone in the landscape. “Either way, skyscrapers grab our attention and awaken our consciousness, inspiring some and irritating others. These rising towers have changed cityscapes around the world and have become the clearest reflection of cultural and economic progress in the twentieth century. At times, it is skyscrapers that dictate the style of business regions and even whole cities,” he said. Snakelike: The skyscraper is likely to have a nightclub, restaurant or bar.